Emissions regulations around the globe are motivating car manufacturers to add lightweight plastics to their procurement management strategies. In addition to keeping fuel efficiency in mind, these organizations are also concerned about maintaining the quality of their vehicles. Safety, maneuverability and robustness cannot be sacrificed when implementing materials that aren't as heavy. The opportunities for lightweight vehicles remain extensive, particularly due to new production techniques. 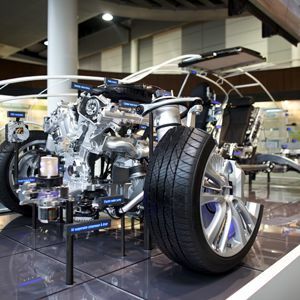 According to Plastics Today, automotive and plastics professionals from around the world assembled at the Plastics in Automotive Engineering 2014 conference in Mannheim, Germany, in early April to showcase innovative ways to deploy the materials. Lanxess, one of globe's leading chemical-makers, adopted Bond-Laminates' fiber-reinforced thermoplastic performance composites to create a mount for a TV control unit in the Audi A6. In the past, Lanxess developed a similar mechanism made of steel with two screwed-on amplifiers, which added to the overall weight and cost of the car. In addition, the corporation also collaborated with EconCore, a Belgian organization specializing in lightweight lattice-like sandwich cores designed to improve the function of load-bearing structural automotive parts. Numerous other products were on display, cumulatively signifying a monumental shift in the global vehicle manufacturing industry. Cooperation between different chemical companies could ultimately affect the financial benchmarking of car producers, as some of these finished materials may prove cheaper to create. Plastics News reported that plastics and rubbers specialist ContiTech AG recently acquired Inotec Innovative Technologie and Präzisionstechnik Geithain, two German blow molding equipment corporations. ContiTech AG spokesperson Mario Topfer claimed that the buy is part of the company's strategic sourcing strategy to meet the automotive industry demand's for blow molded plastic turbocharger hoses, which optimize the power derived from a downsized car engine. "In Europe, a lot of focus for improving engines has been going to adding turbocharging and also going in that similar direction here in the United States," said Kevin Riddell, a professional who forecasts powertrains for LMC Automotive, a company that issues regular reports on the current state of the worldwide vehicle market. The news source noted that the acquisition is another sign that automotive manufacturers are beginning to replace many of the metal components of their machines with plastic ones. The idea behind this endeavor is greater fuel efficiency, a concept driven by higher gas prices and a volatile environmental climate.